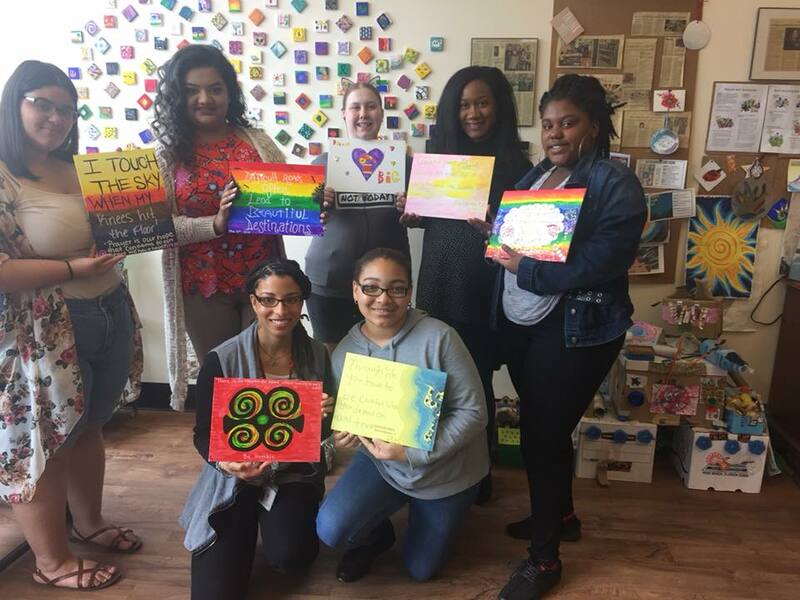 Spotlight on Girls: Inspiration and Creativity – Working Group on Girls of Schenectady, Inc. Words are powerful, and many of our Girls’ Circle activities focus on the messages we tell ourselves and each other. We can find inspiration and wisdom from our foremothers, sacred texts, and even pop songs. Recently, some of our high schoolers visited C.R.E.A.T.E. Community Studios for a morning of creative expression together. 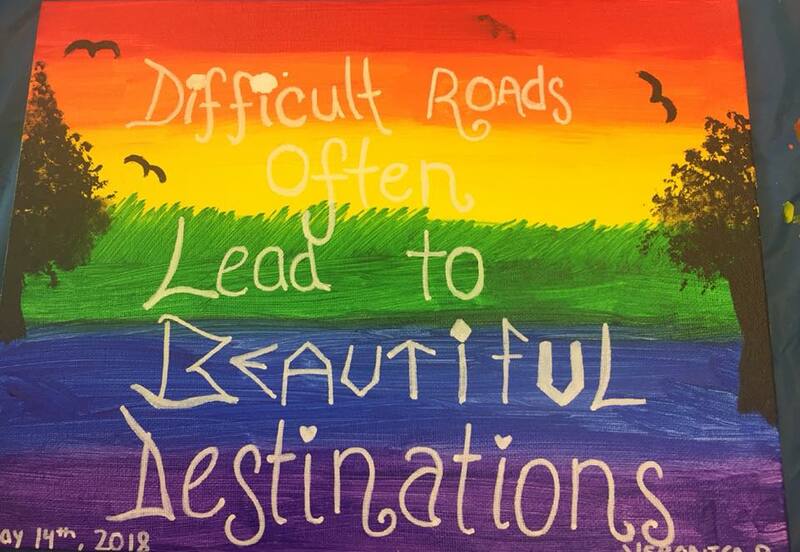 Each girl created her own painting to express a message that was inspiring for her. The paintings were almost as beautiful to behold as everyone’s smiles! We’re so fortunate to have this terrific community resource right in downtown Schenectady. If you haven’t visited, you need to go soon!